The Amelia Island Jazz Festival needed to capture the power of jazz, and turned to none other than artist Alfred “Alex” Gockel to do it justice. 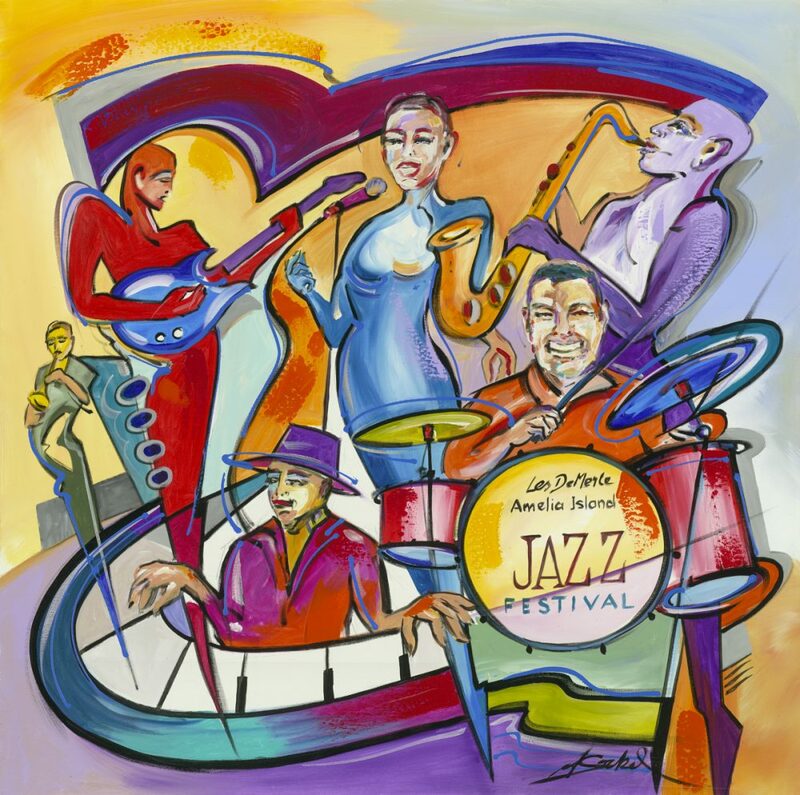 Gockel was a natural choice to become the official artist for the 14th annual jazz festival. 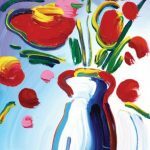 The internationally-renowned artist is known for his expressive and energetic style, and often uses music as inspiration. The Amelia Island Jazz Festival hosts musical performances by seasoned jazz greats and rising industry stars alike to promote the lasting spirit of American jazz. The festival was established by Les DeMerle, a veteran jazz drummer who played with musical greats like Lou Rawls, Sammy Davis, Jr., and Frank Sinatra. 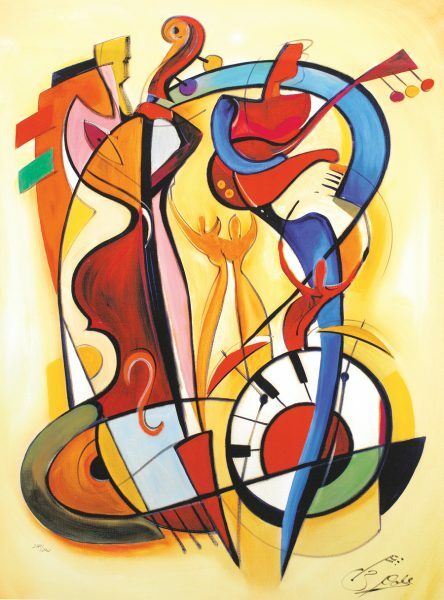 Gockel’s artwork “Amelia Island, Jazz Festival” is painted in his signature style, utilizing rich, primary colors and fluid, sweeping shapes. The painting depicts DeMerle and vocalist Bonnie Eisele performing alongside other musicians. Gockel is familiar with creating musically-themed art, having painted at the Seabreeze Jazz Festival in 2011 and the North Sea Jazz Festival in 2012. The 2017 headline musicians include Grammy nominated vocalist Roseanna Vitro and jazz flutist Nestor Torres. The Amelia Island Jazz Festival takes place October 8–15. Swing by the festival’s website to see the full roster of performers. To further encourage an appreciation for jazz, the Amelia Island Jazz Festival funds an annual scholarship program for high school seniors seeking a degree in music. In addition, the festival provides educational programs and jazz workshops in local schools and senior centers. 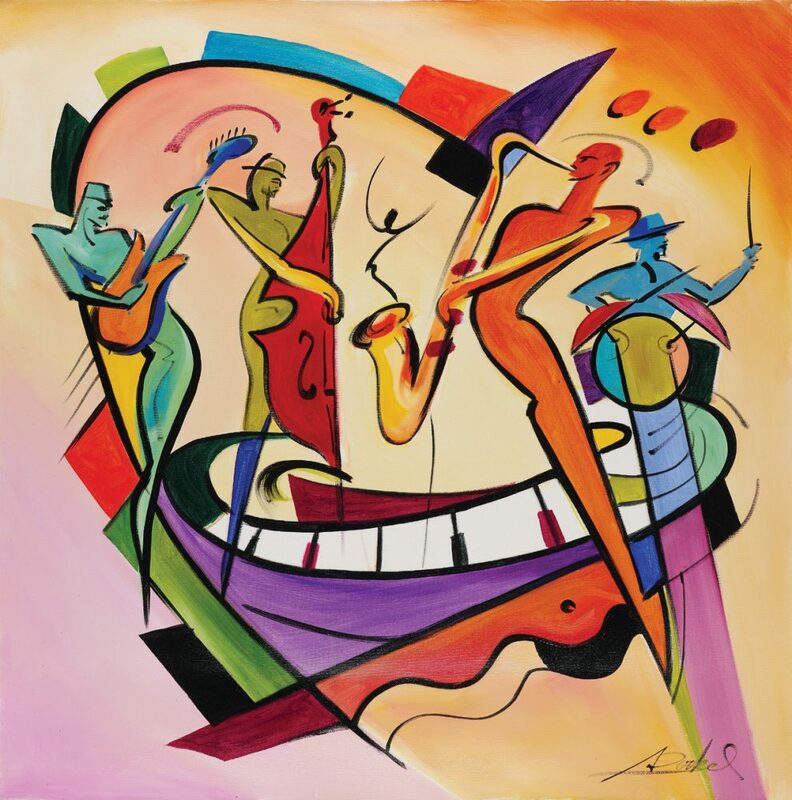 Gockel is the latest Park West Gallery artist to create the official artwork for the Amelia Island Jazz Festival. His predecessors include David “Lebo” Le Batard, Tim Yanke, and Marcus Glenn. Park West Gallery is proud to support the Amelia Island Jazz Festival and its continued dedication to arts education and awareness. To add artwork by Gockel to your collection, contact our gallery consultants at (800) 521-9654 ext. 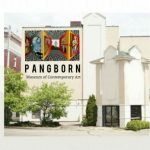 4 or sales@parkwestgallery.com after hours. My fiancé & I were introduced to Mr. Gockel at a recent ParkWest VIP event; we are anxiously awaiting delivery of 3 of his magnificent artworks, and 2 sculptures as well. Not only is he extremely talented, but he’s quite amiable and fun to be around.